Get a head start on winter servicing for your sails with UK Sailmakers Ireland in Cork Harbour. The current dry spell is no better time to check over your sails before removing them for the winter months — and have your boat looking its best come 2019. 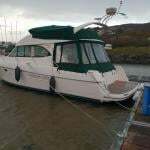 UK Sailmakers Ireland’s laundry service (deadline 18 January 2019) is at hand to deal with the tough stuff, from green algae and mildew to salt crystals, acidic pollution, and stains from rust, food or diesel. Cover washing and reproofing are also offered. With over 100 years of sailmaking experience in their Crosshaven sail loft, UK Sailmakers Ireland are ready to repair or re-cut your sails to give more years of competitive and reliable use. 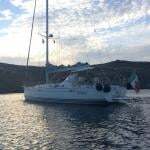 And early payment can net big discounts on new sails, with 12.5% off your total if paid in full by the end of September (10% if paid by end of October; 5% by end of November). For details contact Graham or Barry at [email protected] or phone +353 (0)21 483 1505.